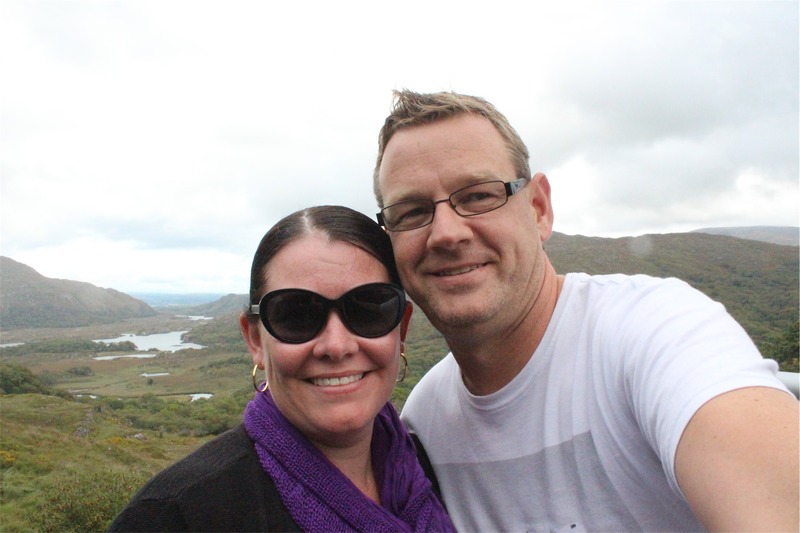 As with most days on the UK part of our adventure, today’s itinerary was exciting but long. 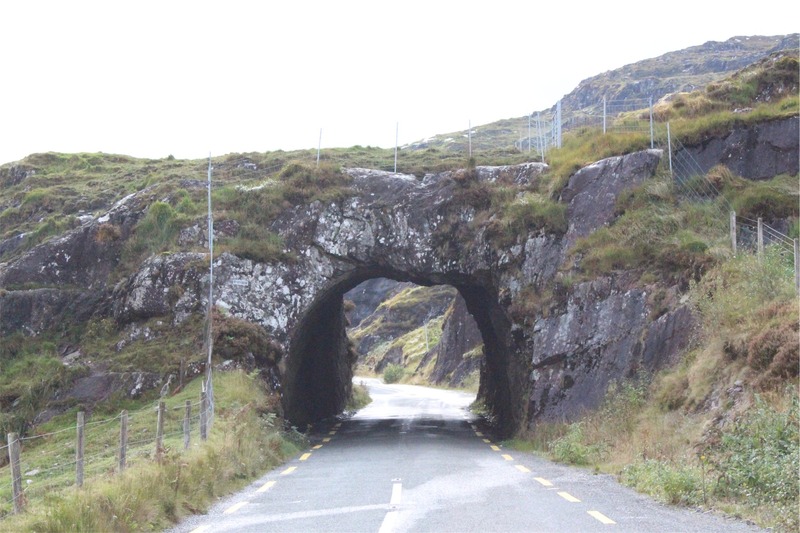 The drive was approximately 6 hours from Limerick to Cork via Tralee, Kenmare, Killarney, Bantry and Skibbereen on the Ring of Kerry. 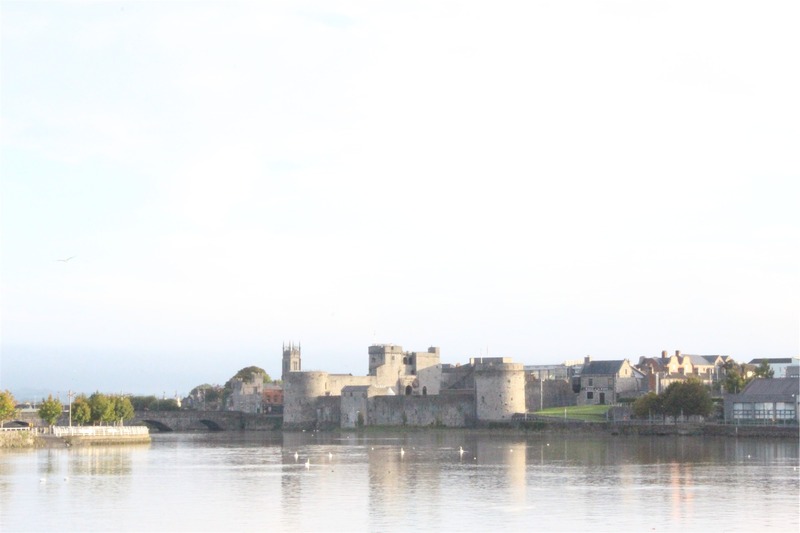 After checking out of the hotel we went for a quick walk along the River Shannon. From the bridge we could see King John’s Castle. 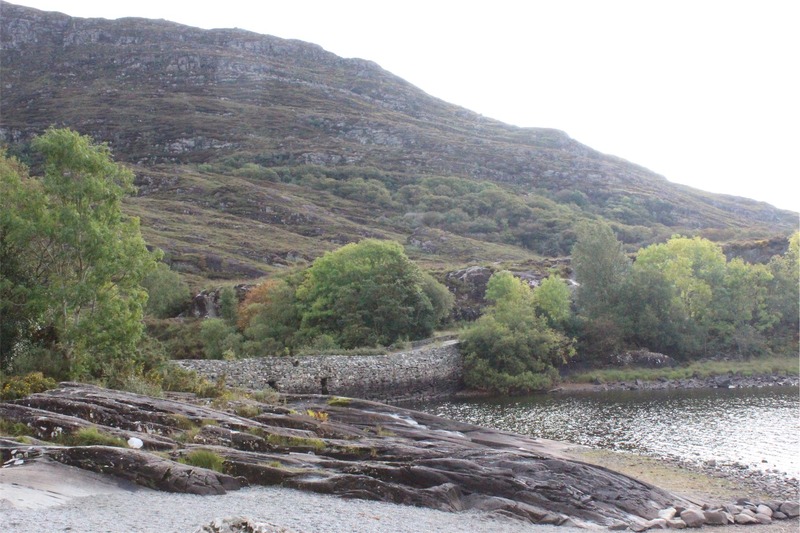 The castle was built in the 13th century on the site of a Viking settlement dating back to 922. 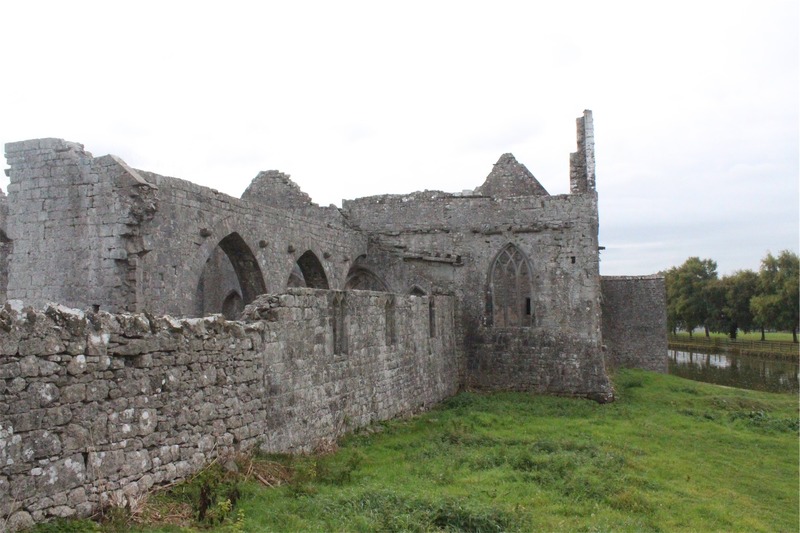 On the road from Limerick to Tralee on the banks of the River Deel lay the ruins of the Franciscan Friary built in 1389. 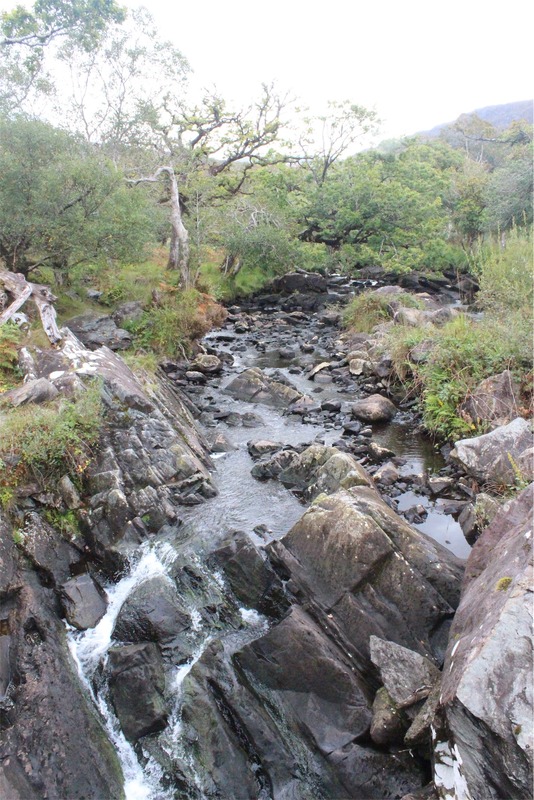 From Tralee we headed to Kenmare via Killarney National Park. Driving through Killarny we found a cathedral – St Mary’s – at the foot of the National Park. 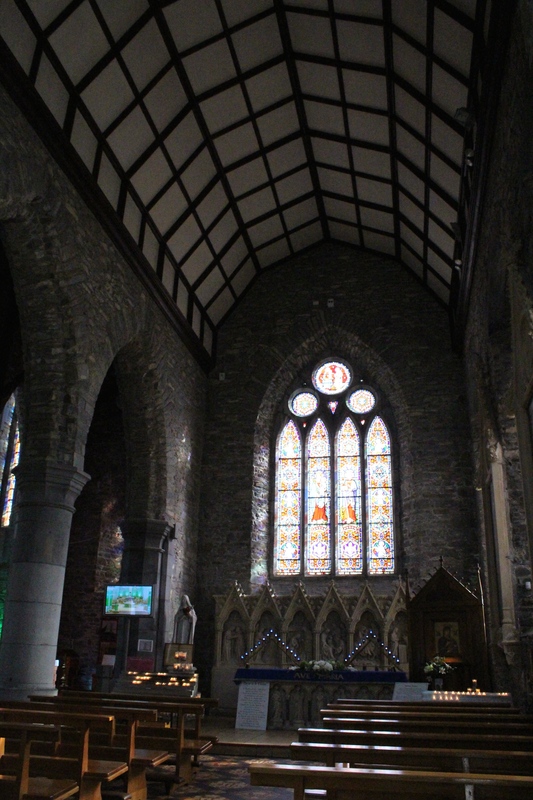 We stopped in to have a look at this Gothic Revivalist style church and took some photos. 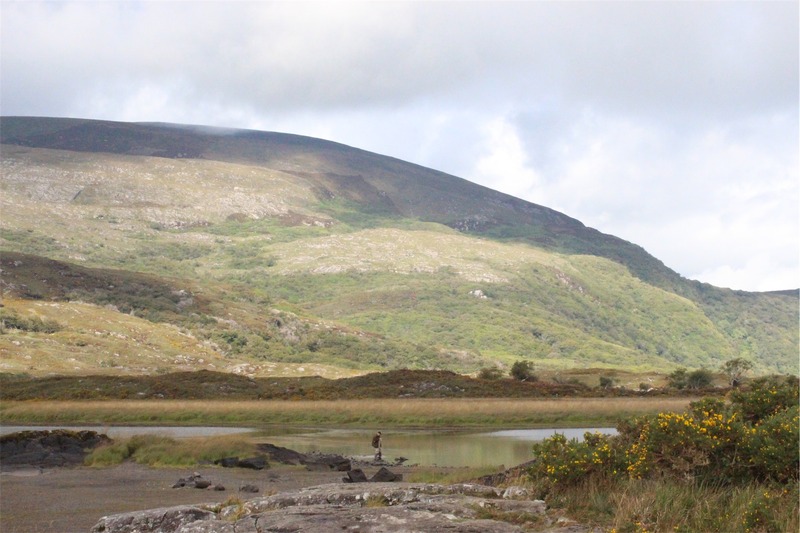 Killarney National Park, for its size, has many varying landscapes. 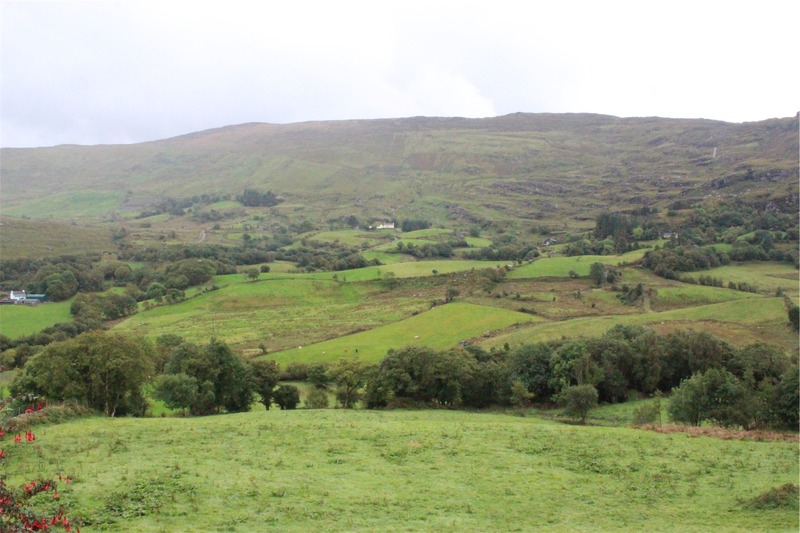 Some parts are almost like the Scottish moors and others so rich and green they are almost like a rainforest. 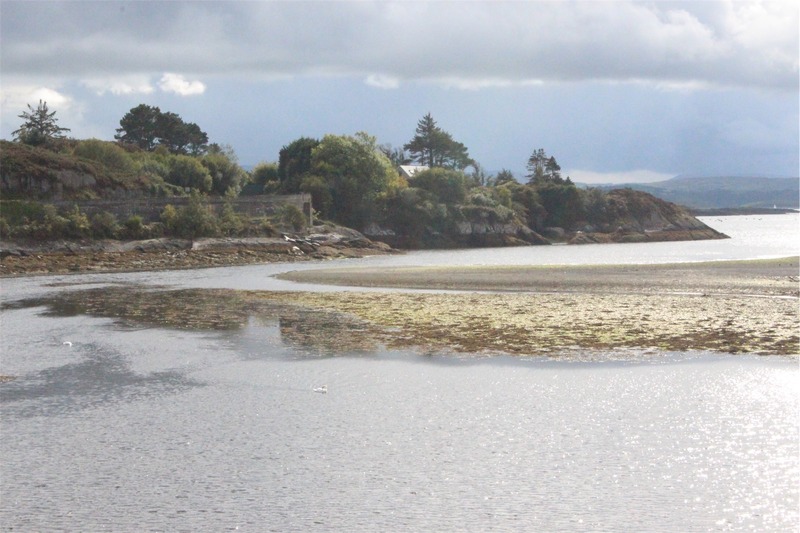 At the foot of the park there is a large body of water, Lough Leane (which means lake of learning). 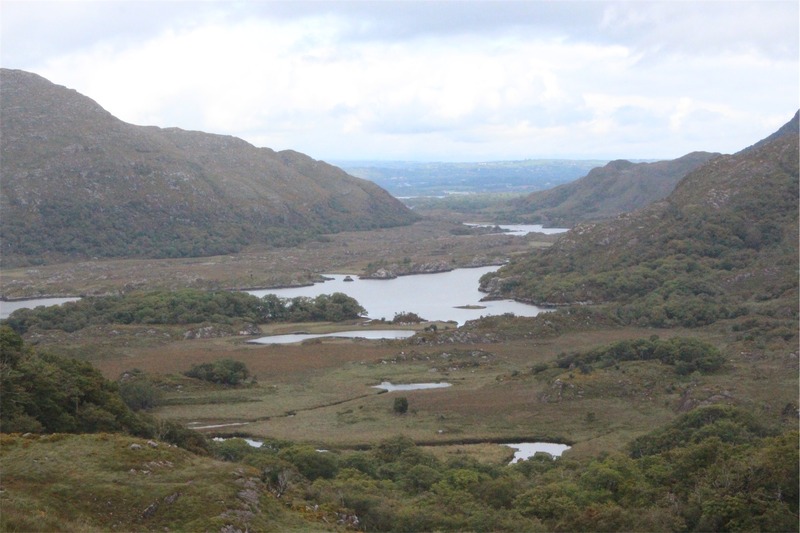 Depending on your viewpoint, the landscape around the lake is completely different. 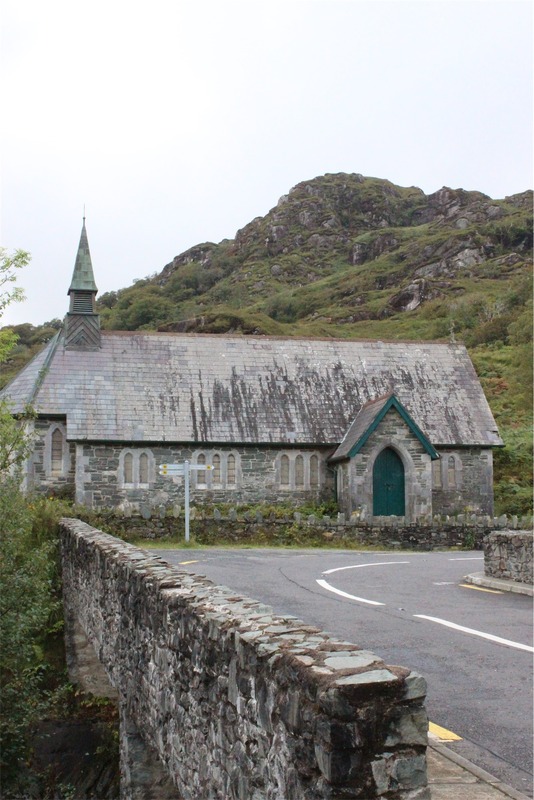 Further on the road to Kenmare we came across an old church perfectly situated near a gorgeous waterfall. 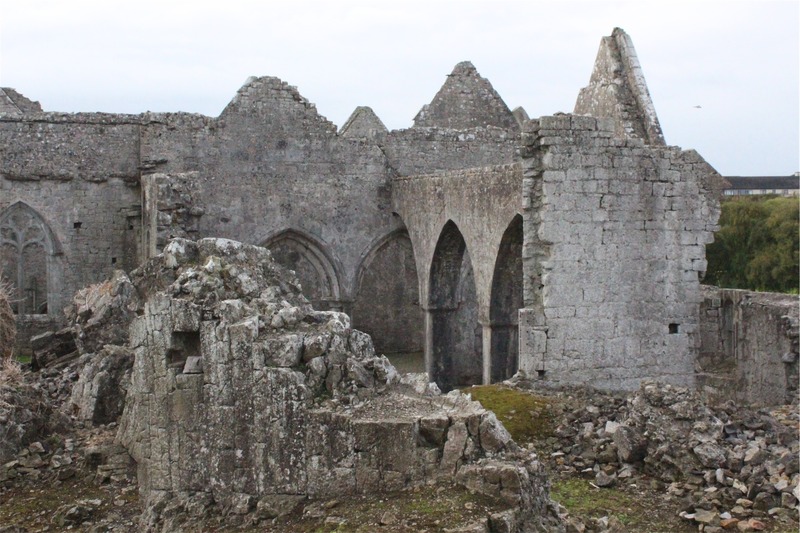 Not far from the church were the ruins of a small anonymous castle. 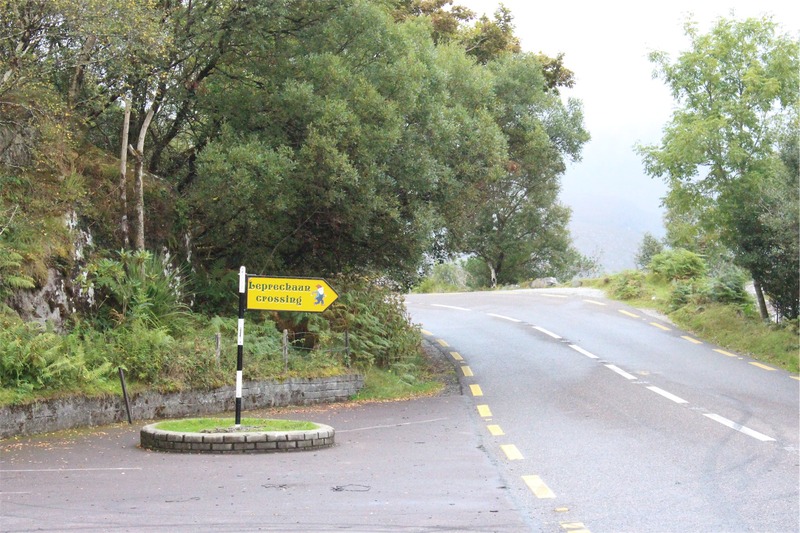 The Ring of Kerry was proving itself to be a highlight. 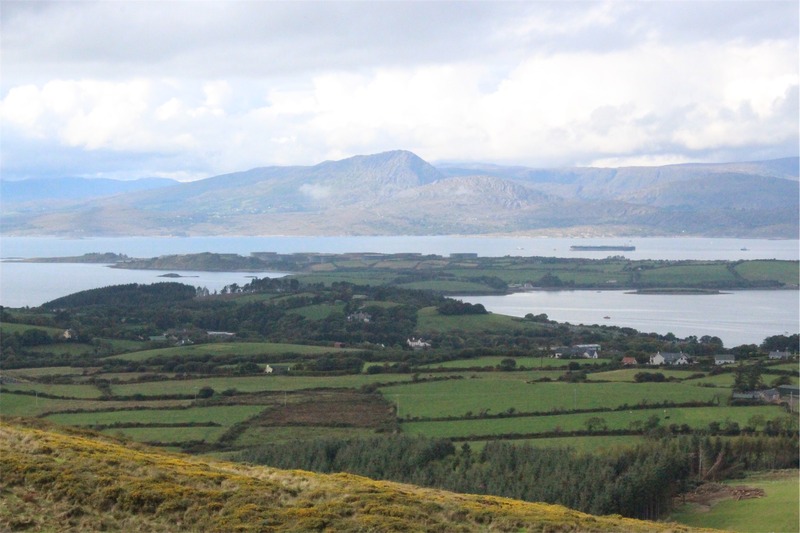 Continuing on the Ring of Kerry, we found a look out called Ladies View. The name apparently stems from the admiration of the view given by Queen Victoria’s ladies-in-waiting during their 1861 visit. 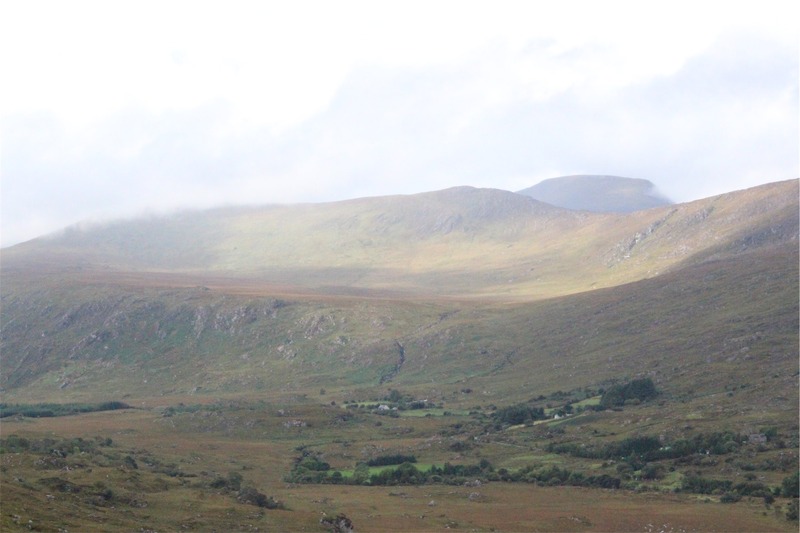 The rest of our journey on the Ring of Kerry toward Kenmare continued to amaze us with its unique landscapes. 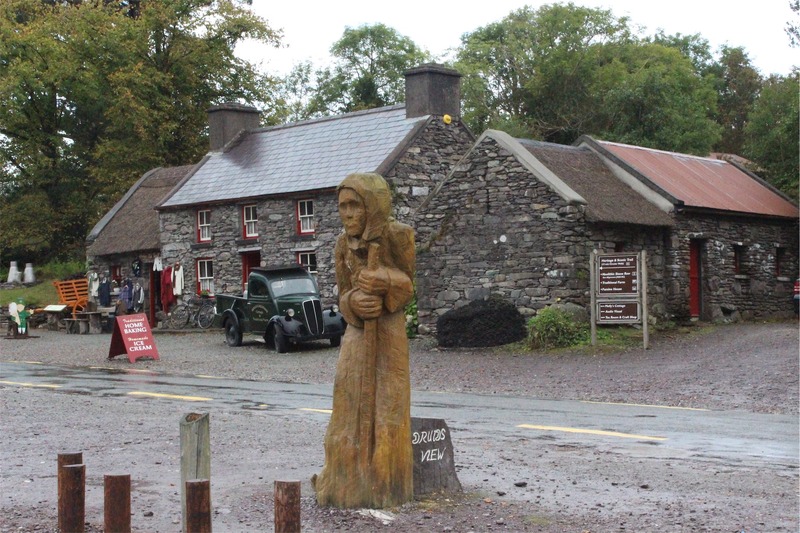 Molly Gallivan’s was an unexpected gem about 15 minutes from Kenmare towards Bantry. 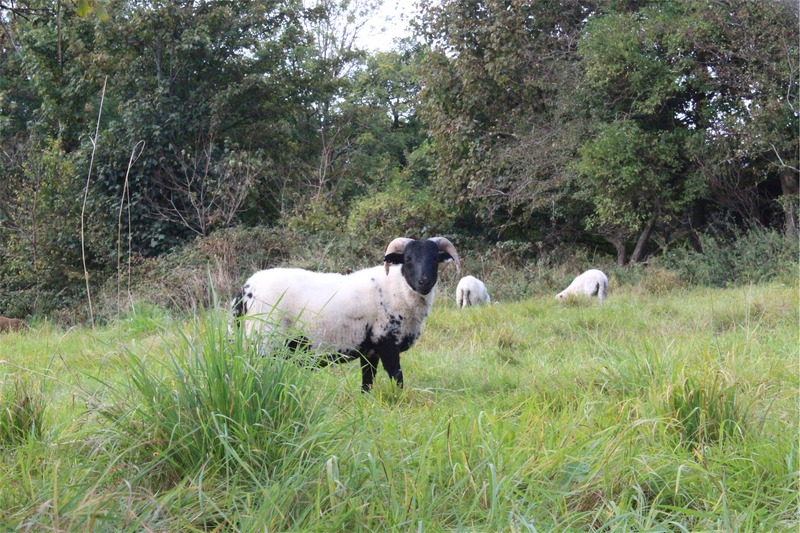 A quirky little hobby farm where you can experience Irish lifestyle as it was prior to electricity, see some ancient ruins, do some shopping in an extensive gift shop and enjoy some homemade scones in front of a fire. We enjoyed the rest of the journey to Cork on the N71, stopping only to take some random photos. 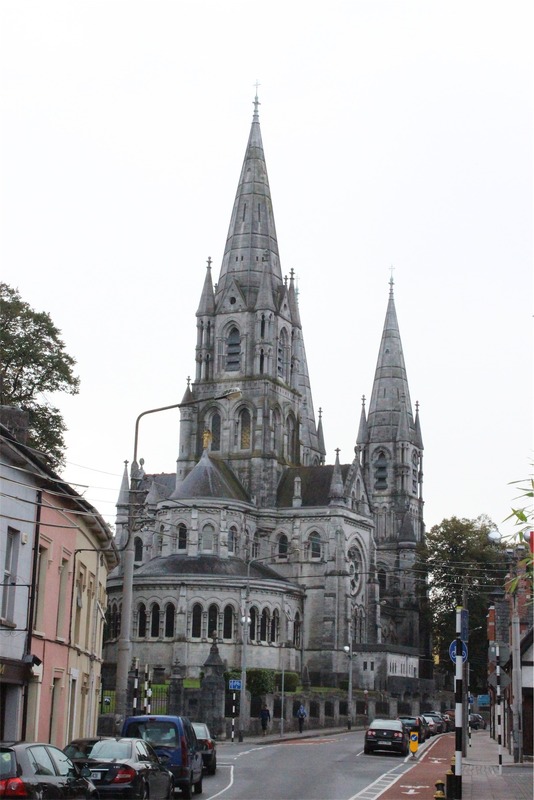 On our way into Cork, we noted Saint Fin Barre’s Cathedral. 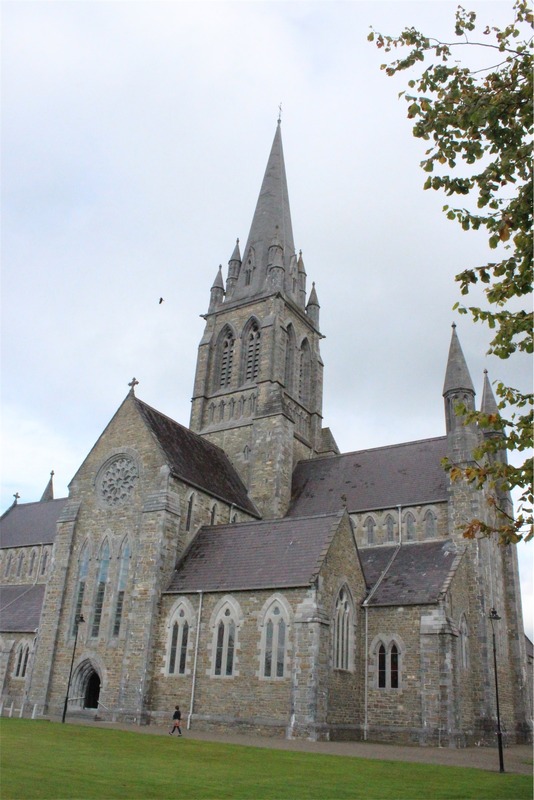 This Gothic style church was built in the 18th century on a historically religious site since the 7th century. We checked into a rather posh hotel (in comparison to our usual Ibis digs), taking advantage of their lovely restaurant indulging in a few glasses of wine overlooking Cork and the River Lee.